Flo is out of our first litter from Smokey and is sired by the very successful Am/Aust Supreme Ch Dogwood Hollow Out Of The Park (IMP USA). Flo titled very quickly and easily with several Class in Group and In Show Awards. Her real success however has been producing some stunning puppies including "Pebbles" who is in our current show team. 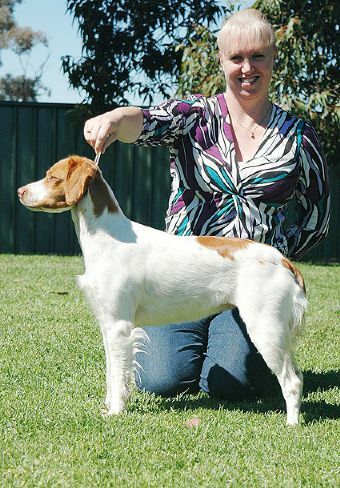 As a Dam she has produced beautiful Brittany's that have gone to great homes around the country. We could not be happier with what she has produced to two different sires.